Unlimited call recording is included with CircleLoop. CircleLoop gives you professional call recording across our Mac & Windows desktop apps and iOS & Android smartphone apps. So no matter where you’re working, your call recording works too. You control when you want calls recording and then play back, download or even share the files. Perfect for staff training and quality control, and without the extra costs often imposed by other providers. 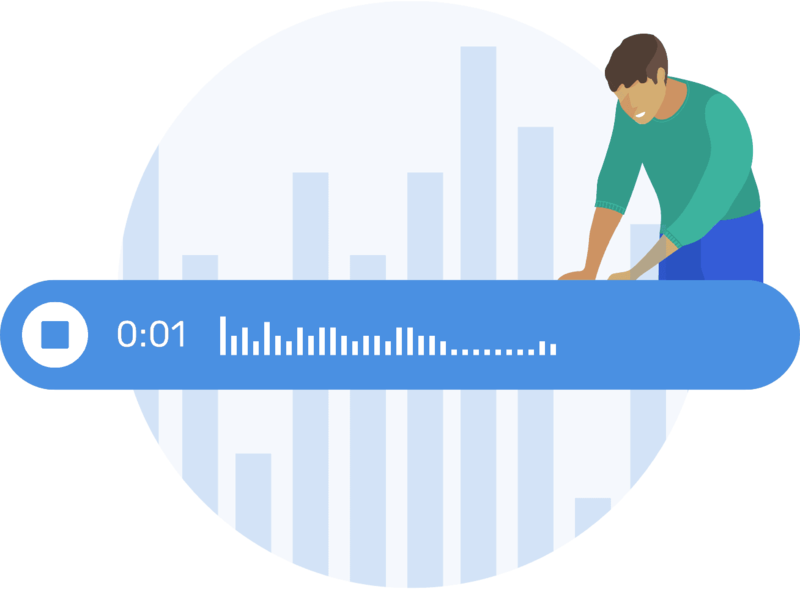 As a CircleLoop admin you control when calls are recorded across all of your users, and you can listen back, share and download recordings directly from the powerful Caller Analytics panel, giving you quick and easy access to key client contacts - no more disruption for the rest of your team. Using a CRM? 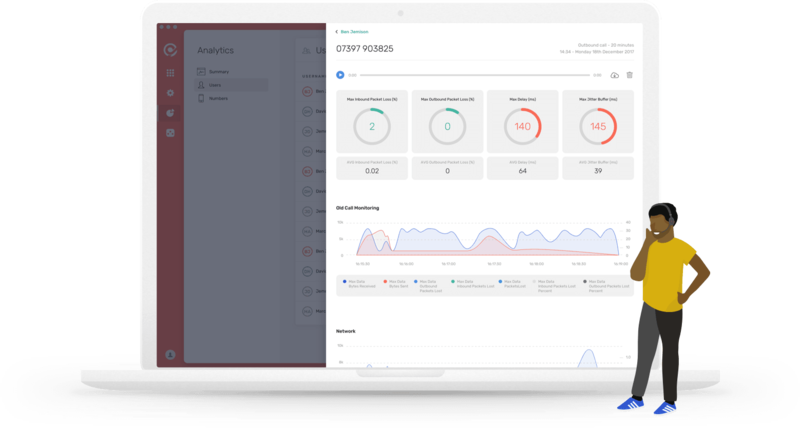 Have your call activity automatically logged and synced with your contacts, directly into your CRM system. 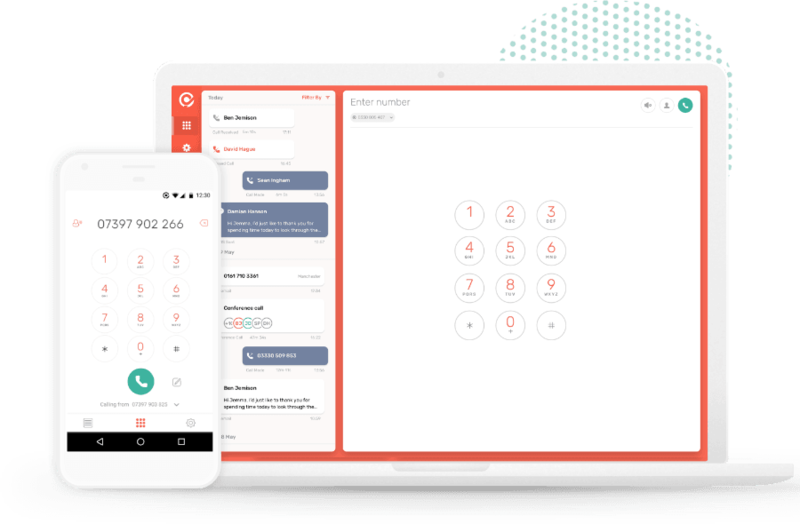 CircleLoop is a next generation cloud-based phone system which runs in simple, powerful apps. It’s a modern, feature-packed replacement for your existing business phone system delivered in an easy to use self-service app. Simply add your users (from just £5 per month) and say goodbye to business mobiles, complexity, contracts and phone-related hassle. Start your free CircleLoop trial today. Get started in seconds with no commitment. Got an existing phone number? No problem, we can port it across after your trial.